"Ascent of the Spirit" represents the client's vision of doves escorting the departing soul at the moment of death. Barre granite. 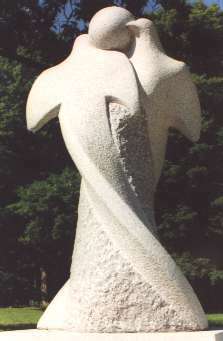 The height of the sculpture itself is 5'-8". 1994.